January 31, 2017 By Allyson Leave a Comment This post may contain affiliate links. Read my disclosure policy. 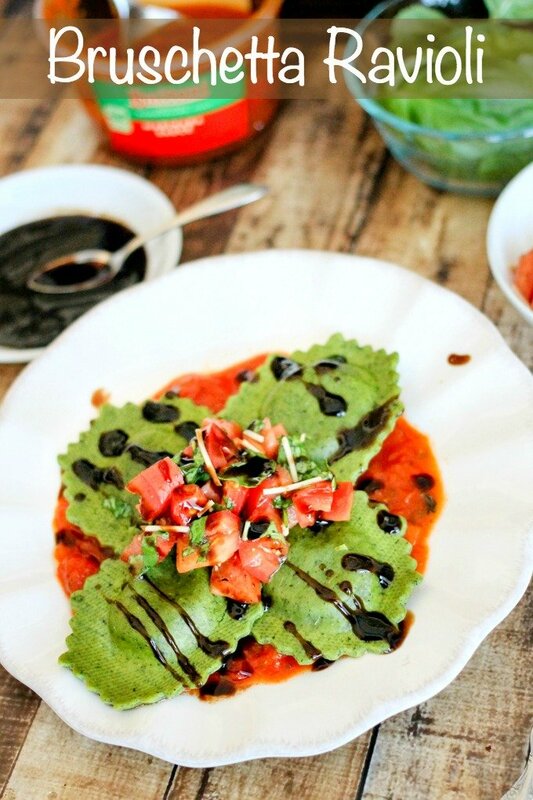 This Fresh Bruschetta Ravioli is a super easy dinner idea – it takes less than 15 minutes to whip up, tastes amazing, and you can feel good about feeding it to your family! With the new year in swing, I feel like things are busier than ever, and that’s why finding fresh easy meals to make for dinner is so important. 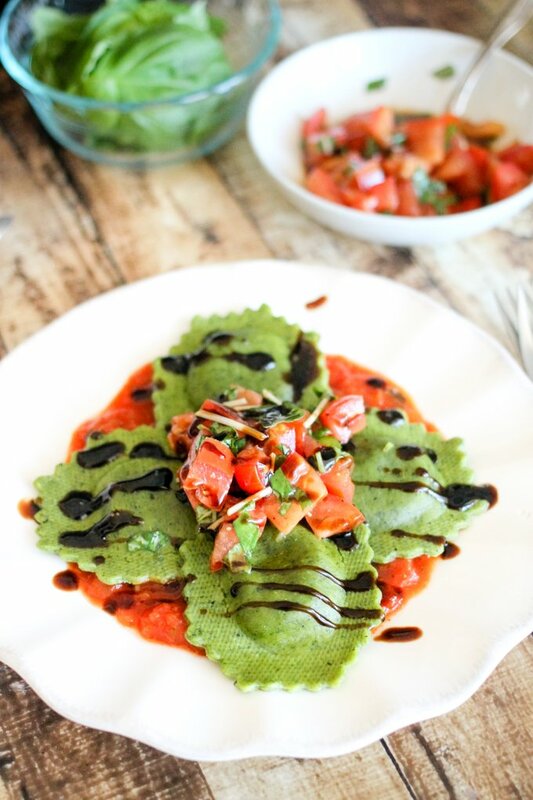 This Fresh Bruschetta Ravioli is a super easy dinner idea – it takes less than 15 minutes to whip up, tastes amazing, and you can feel good about feeding it to your family! By using Buitoni’s no GMO, freshly made, vegetable-infused pastas; you’re able to create a meal that the whole family will love, and you don’t have to feel guilty over. 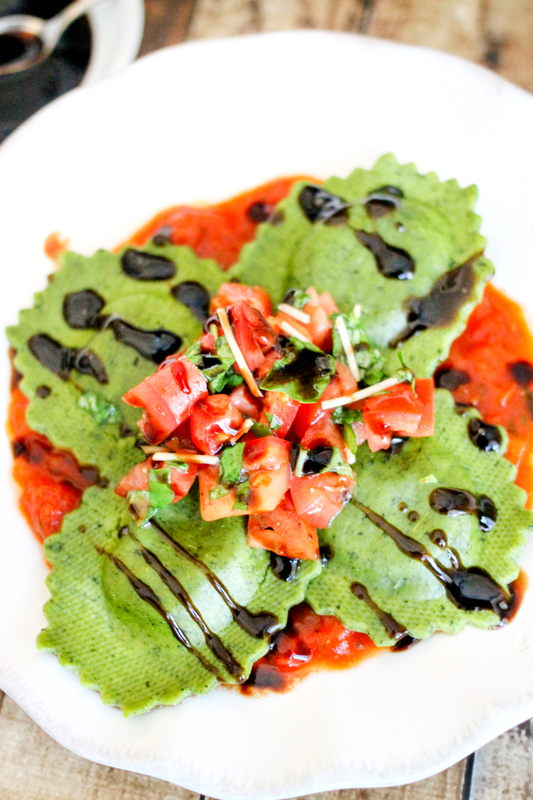 For this Fresh Bruschetta Ravioli, I opted to use Buitoni’s Spinach & Artichoke ravioli – it seemed like the perfect flavor. I boiled the ravioli, and while that was cooking, I made the bruschetta. It’s very simple – combine fresh tomatoes with fresh basil, olive oil, balsamic vinegar, salt, pepper, and a little parmesan cheese; let it hang out for a bit while the pasta is cooking. Next, make a balsamic reduction- boil some balsamic vinegar, then simmer for about 10 minutes until it’s reduced and thickened. Drizzling the reduction over the dish makes a really unique flavor that pairs perfectly with this fresh, versatile and vibrant meal! Buitoni Helps get you closer to dinner with this simple meal, and maximizes the little time that you have. Buitoni gives us the simple, elevated option you’re looking for: a freshly made filled pasta that encourages creativity while maximizing your time and effort—allowing us to enjoy dinner with our family. You definitely need to try this super fresh and delicious meal. From start to finish it only takes about 15 minutes and everyone will be raving for seconds! 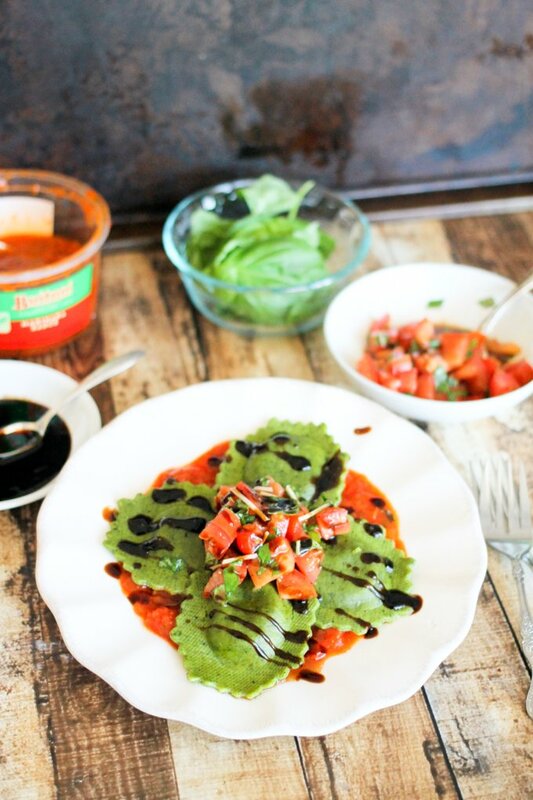 This meal is also vegetarian but if you feel like adding meat, I think a grilled chicken breast could be delicious with this fresh Bruschetta Ravioli as well! 1. Cook ravioli according to package directions. Strain, set aside. 2. In a medium bowl add tomatoes, basil, olive oil, 3 TBS balsamic, salt, pepper, and parmesan cheese; stir to combine and set aside. 3. In a small sauce pot add remaining balsamic vinegar (1/2 cup) and sugar; stir to combine and bring to boil. Reduce heat and simmer for about 10 minutes or until the mixture reduces and thickens. 4. To serve: add 1/4 cup Buitoni Marinara to bottom of plate, add 4-6 raviolis and top with about 1/4 cup of bruschetta mixture. Drizzle balsamic glaze over the top. Serve immediately. 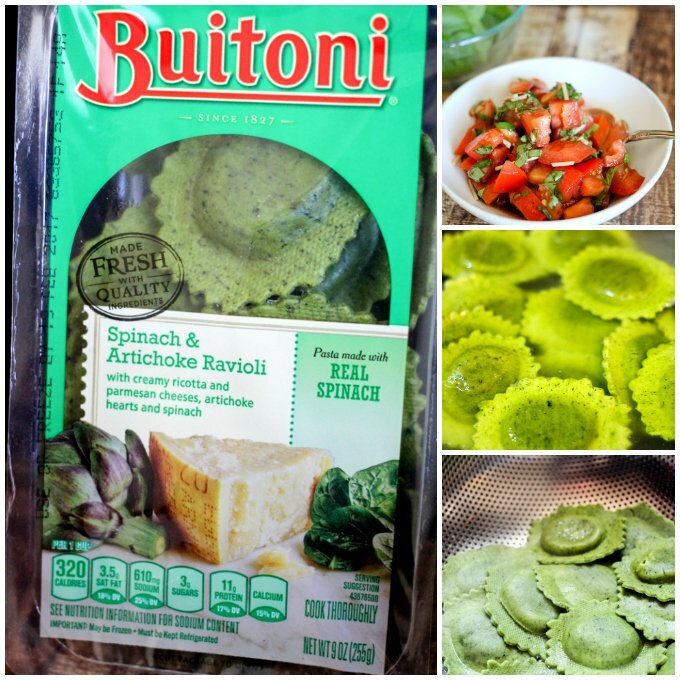 Need other ideas to use Buitoni’s Fresh Ravioli? Add some alfredo sauce to a pot, add the ravioli, boil in the sauce until cooked – add steamed broccoli for a Alfredo Ravioli! Make a ravioli bake with cheese and sprinkled breadcrumbs on top – yum! Bread the ravioli with panko, bake until crispy, then serve alongside Buitoni Marinara – perfect finger food! 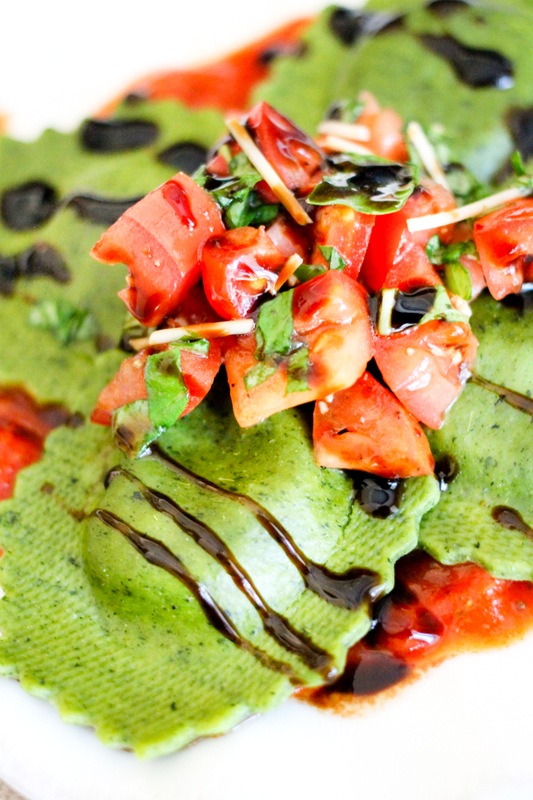 Serve the ravioli with your favorite roasted vegetables (asparagus, sweet potatoes, carrots-would be great) and add some marinara on top – ravioli primavera!